eeek! well i've decided to enter the sew-vivor competition! 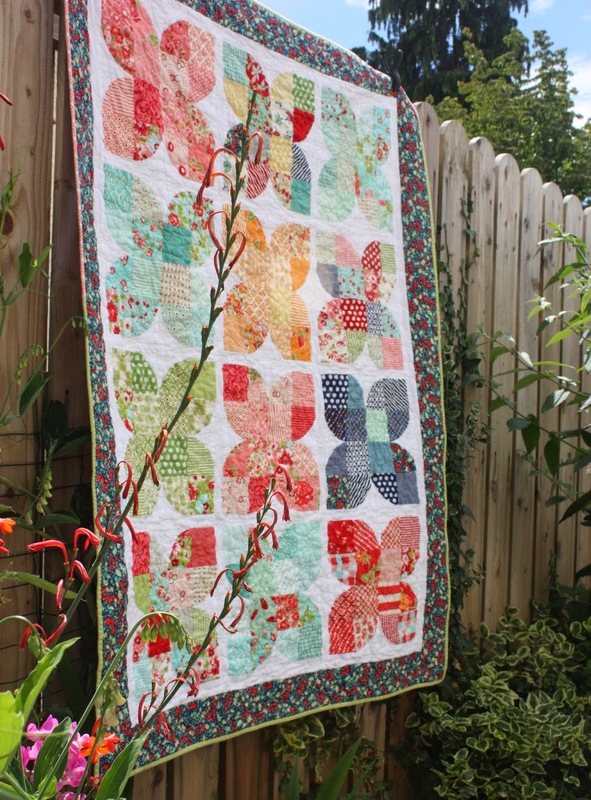 it's the quilters edition so how could i not? 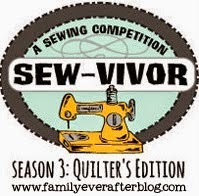 sew-vivor is a sewing competition hosted by rach at family ever after where 16 sew-y people are chosen and then have 'tasks' to do until there is only 1 left standing, fun huh? so this is my audition quilt! and guess what? 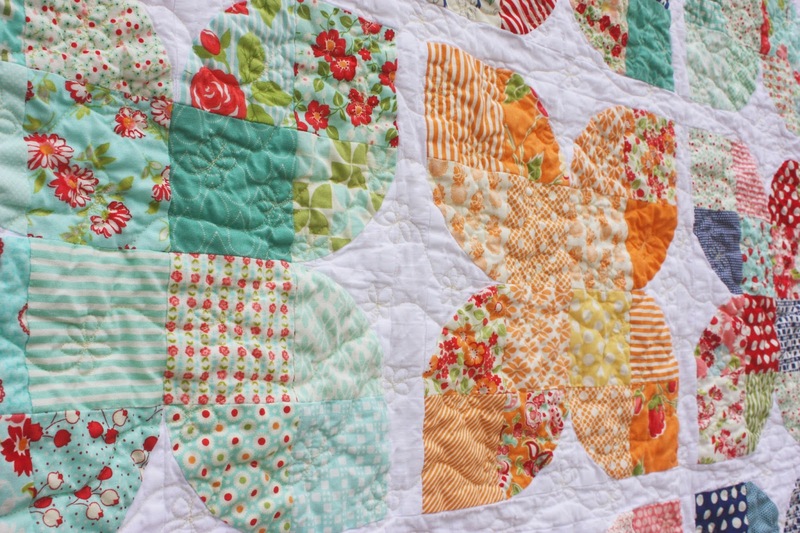 it's my retro butterflies quilt or maybe it should be called 'an ode to bonnie and camille fabric' oh and get ready for lots of pictures! ta-dah! 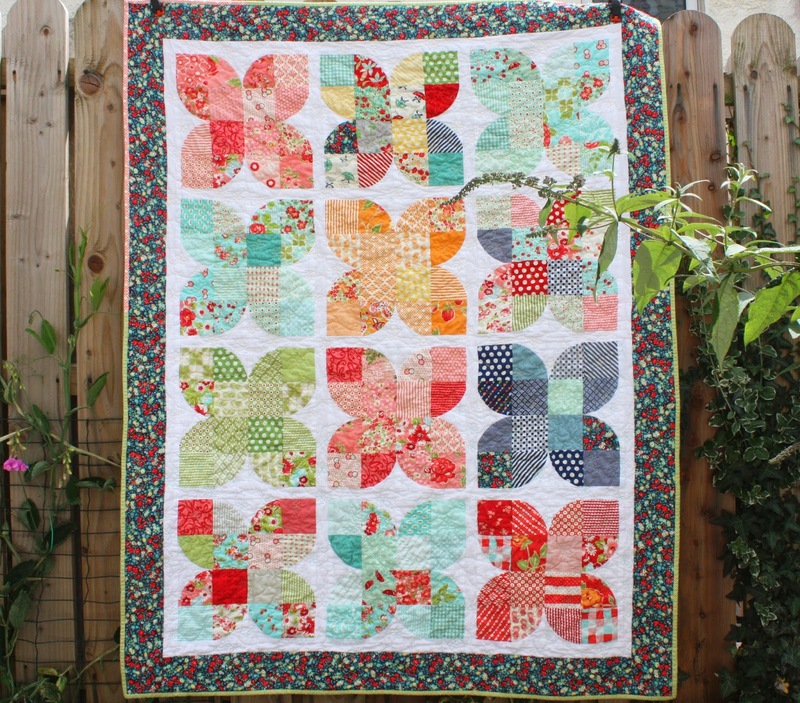 for this quilt i decided to use 'all' of my bonnie and camille fabric stash, so there is bliss, ruby, vintage modern, marmalade, happy go lucky, scrumptious and april showers and i love it! it has all my favourites and lots of pink, i also love the scrappy look of it. oh and also one of the squares is flannel! i made this quilt in one of judiths classes and i had never sewn curves before this quilt but with judiths excellent teaching and 96 curves later i now think i'm a pro (if only) i found sewing the curves hard at the start, but by the end they were almost (dare i say it) fun! and don't even get me started on the 3/8" seam allowance! 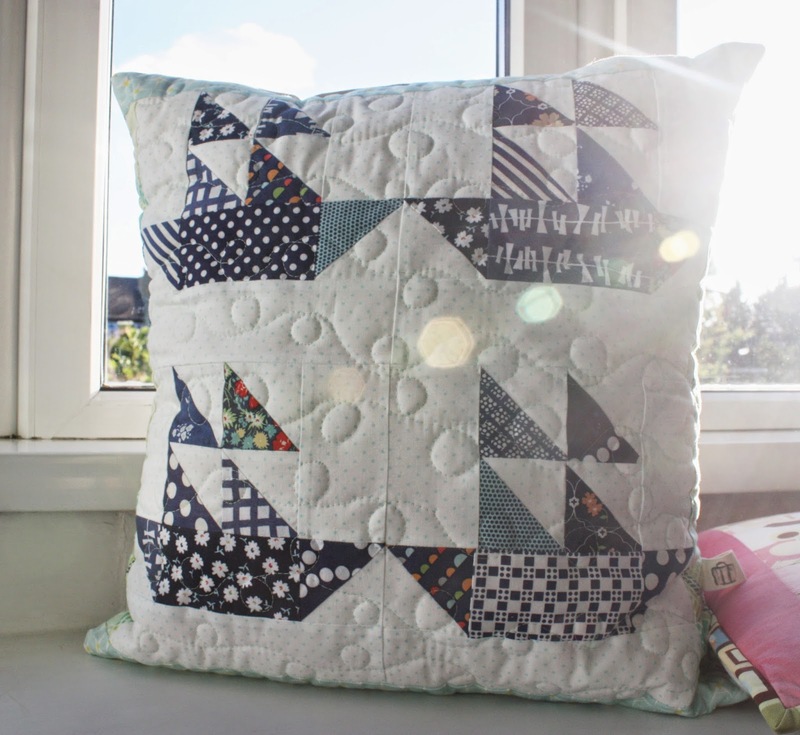 when i started making the quilt i didn't have a real plan, i couldn't decide between colour blocking or scrappy so in the end i did both! 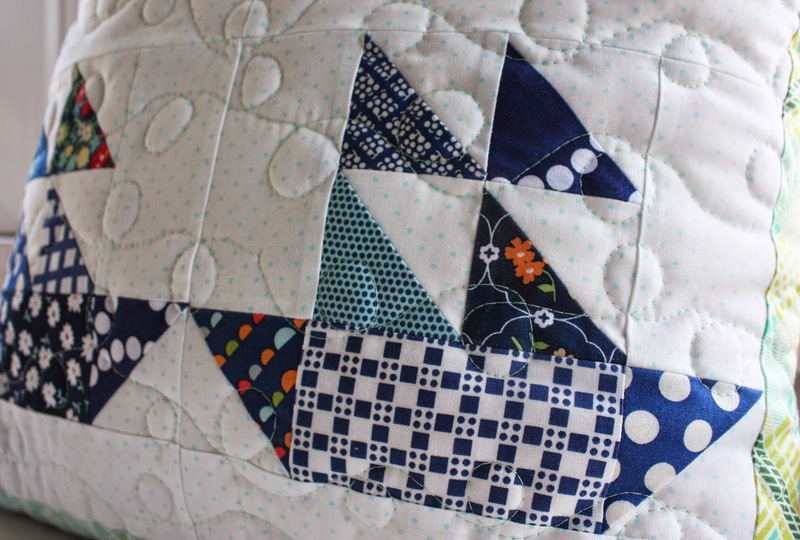 and i think it adds a little something different to the quilt. 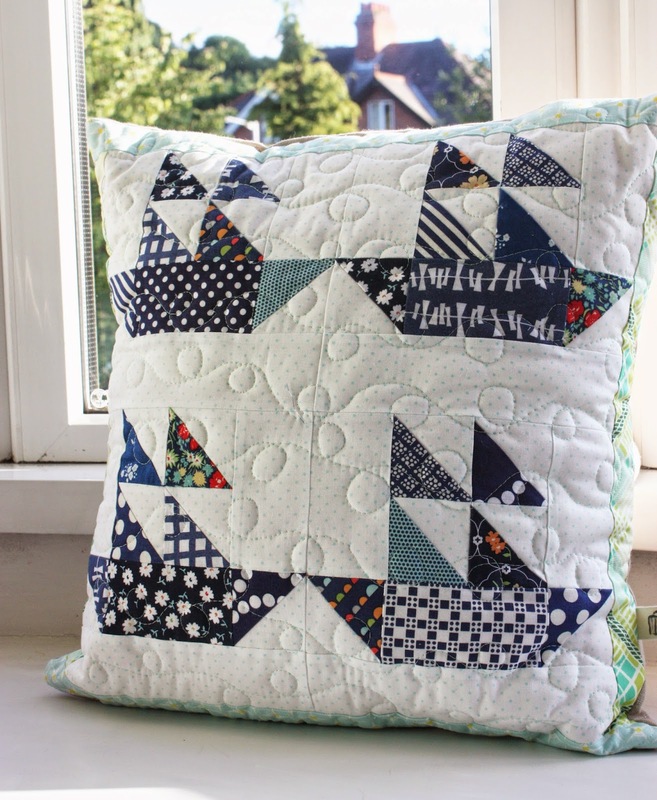 my favourite block is the navy, with the 'odd one out' aqua square! 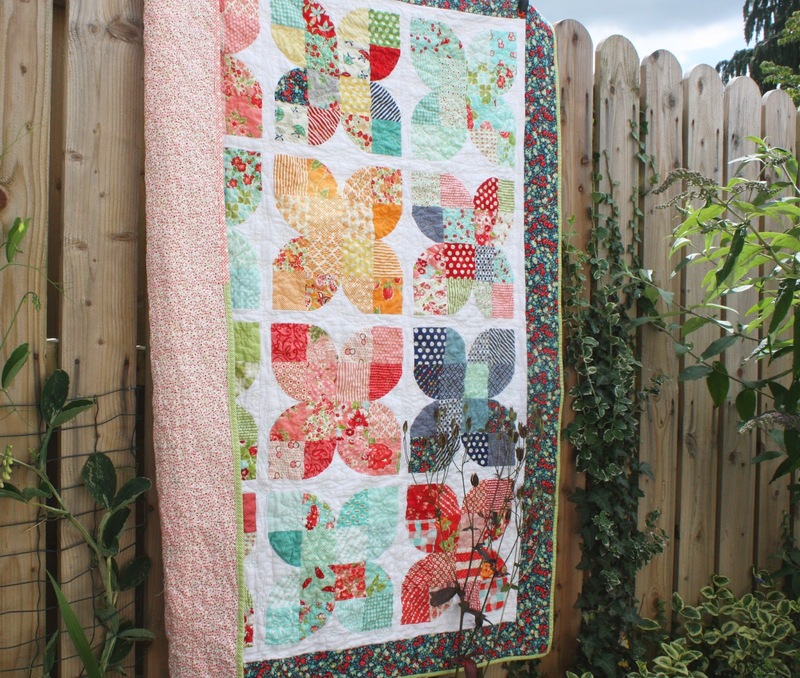 for the quilting i decided to do something new to me, i did daisy-chain quilting (like loopy quilting only instead of loops i did little flowers) because butterflies like flowers! 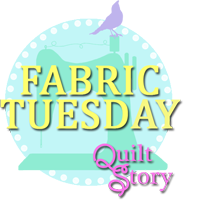 i started with aurifil yellow thread and changed halfway through to aqua thread just for fun! i couldn't resist a pink backing, i used my favourite print from scrumptious! and a green binding with a bit of pink thrown in just because! the pattern had a scrappy border, but with the scrappy-ness of the main quilt i added a big border instead and i'm really happy with how it turned out! 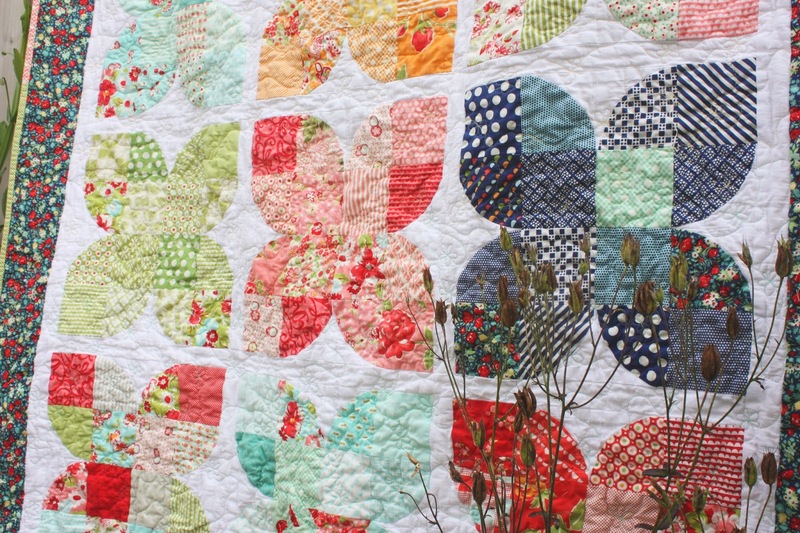 i know i say it about all my quilts but this one really is my favourite!! guess what? i made another cushion! they're just so 'quick' and fun to make in the middle of big quilt-y projects! 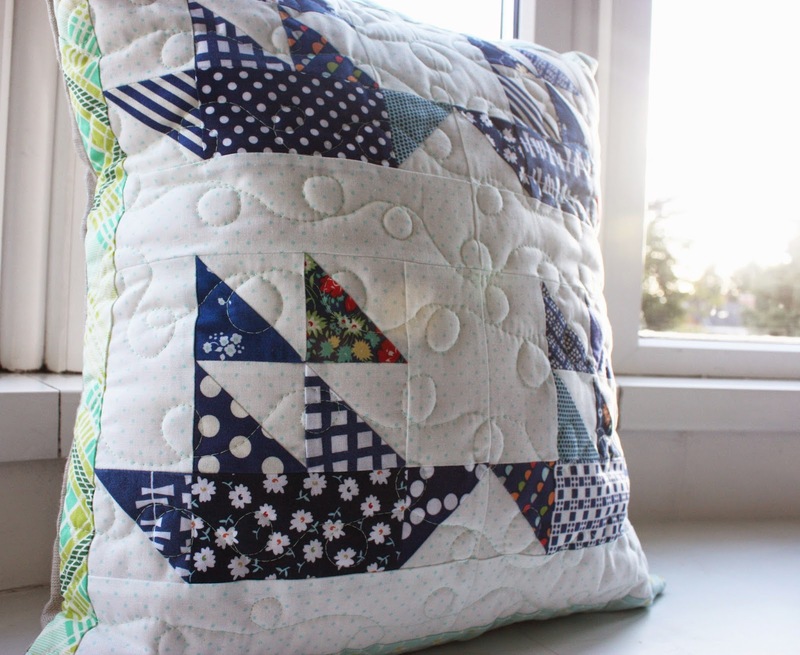 when i saw jessies amazing quilt i knew i had to make the block, but i didn't want to make a big quilt, so a cushion was the obvious answer. i went to my fabric closet and pulled all the navy fabrics i had, it such a good colour, it might even be replacing my favourite aqua colour! i paired them with a small blue pin-dot on white, which was actually surprisingly hard to find, i think it just adds to the cuteness factor. *i love sunspots* a bit of loop quilting (to look like waves) and a linen envelope back and ta-dah! it's finished! i have to say i'm soo happy with it! !